Hey everyone! 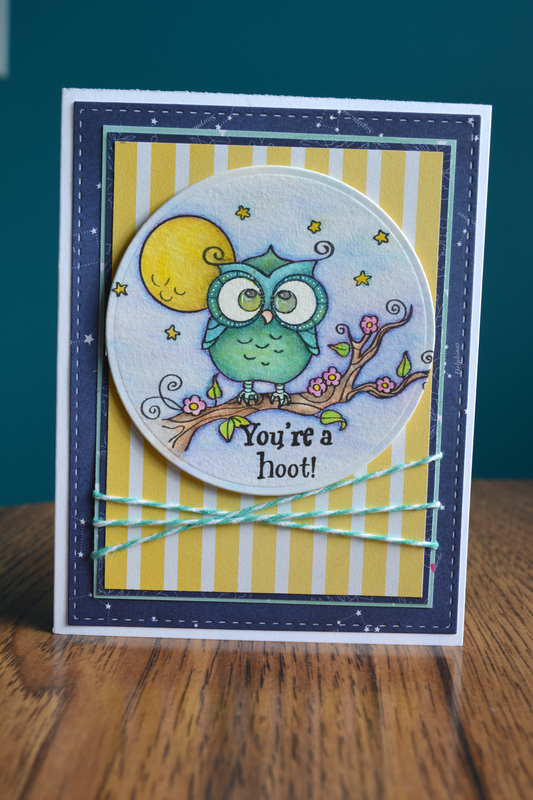 This card was tons of fun, I have been eyeing this stamp set from Kraftin’ Kimmie Stamps for a long time (link is in the products used), I was absolutely thrilled to get my hands on it! 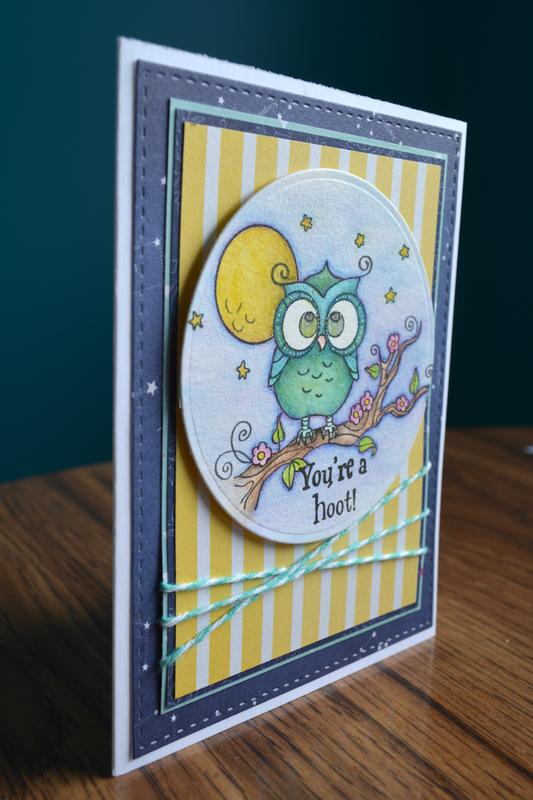 I used the Serendipity 6×6 pad that came in the Hip Kit January color add on, to create the layers in the backround. 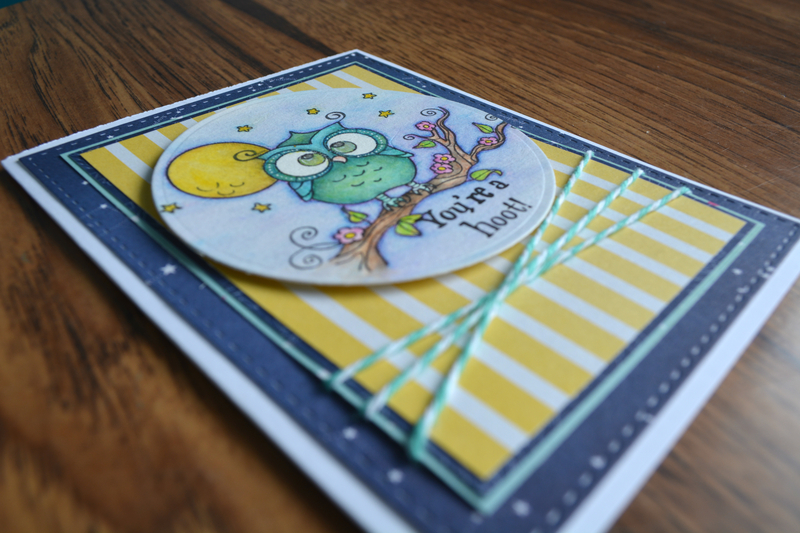 The bottom layer was cut with a stitched die from Simon Says Stamp. The twine is out of my stash I would assume from the twinery but it is the last of it so I can’t be sure. 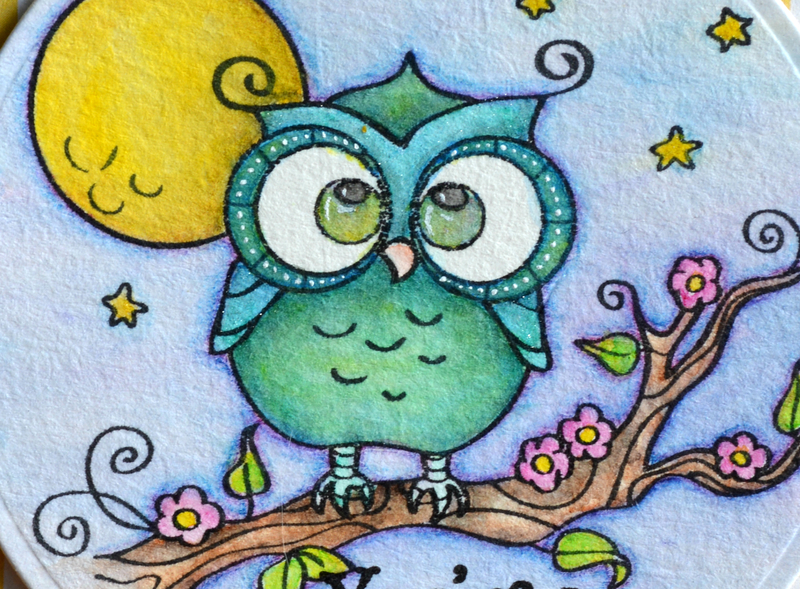 I stamped the image with versafine onyx black in then coloured it with my Gansai Tambi watercolours (I have the 24 colour set). THe white highlights are done with a small brush and Golden Titanium White heavybody Acrylic. Kraftin’ Kimmie Stamps- You Know Whooo! oh my word, he is adorable!! REALLY like the white dots!